Thanks for stopping by. 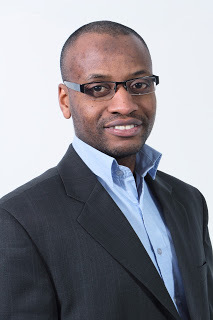 My name is Mike Ncube and I'm a Google Adwords Expert with extensive experience in digital marketing strategy, Google Adwords, Search Engine Optimisation, Web Analytics and more. You will find here a wide range of PPC resources digital marketing templates, case studies, articles and whitepapers to take your online marketing to a higher level. If you have any questions, queries or comments, please don't hesitate to contact me. If you are looking for a digital marketing expert or PPC specialist to plan your online strategy, then you've come to the right place. I've created my free strategy plans to help you create a competitive advantage and make your business more profitable. You will create effective marketing objectives, conduct effective situational analysis and implement a promotional mix that includes tactics such as Pay Per Click Marketing, SEO, Social media marketing, banner advertising, PR and much more. As a Google Adwords Expert, I regularly train clients in the fundamentals and advanced features in Adwords to help them setup and manage effective campaigns. I'm available for a free chat to discuss your exact requirements and to crate a training plan for your needs. Also check out my PPC services to find out more about the reviews I've received and signup for my services. How Much Should You Be Spending On Google Ads? Copyright © 2019 Mike Ncube. All rights reserved.